ABC10's Walt Gray. Photo by ABC10. Walt Gray has been a major part of Northern California TV news for the past 25 years. Walt Gray is an anchor at ABC10 in Sacramento, Calif., specializing in hard news. Walt has been a major part of Northern California TV news for the past 25 years. He's covered all the major stories. His list of contacts is second to none. Walt says he's had a beer or ridden a motorcycle with "just about everyone in the region." Walt's charity motorcycle ride, which just completed its 11th year, has cleared over $550,000 for children's charities. "As long as I can do it and get support from the vast Sacramento motorcycle family, we'll keep it going for the Make-a-Wish kids," Walt said. 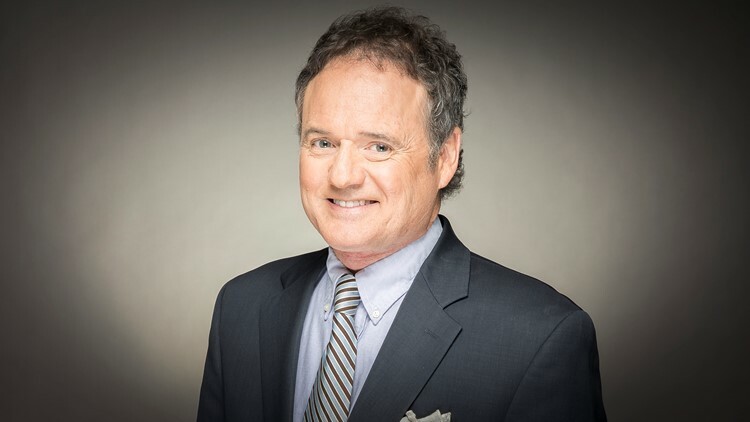 Walt started his career in Sacramento at KCRA in 1988 as Sports Director, where he served for five and a half years before being promoted to morning/noon news anchor in 1993. "The owner asked me if I'd be interested in being a news anchor," Walt said. "My thought was if he asked you to do something your answer had better be 'yes.'" In 1993, Walt began a 15-and-a-half-year run as Sacramento's dominant morning news anchor, winning Sacramento Magazine's "Best Morning TV Anchor" a record eight straight times. In 2009, Walt was promoted to evening anchor. At times, he would cover the morning and 11 p.m. newscasts or the morning and 5 p.m. newscasts. "I didn't mind the crazy shifts and hours, nobody else would do it, it was the best way I could get ahead," Walt said. In 2012, Walt left television to pursue a career with a local radio station as a morning talk host. He's now back with ABC10, the same station his wife and Chief Meteorologist Monica Woods has worked since 2001. Walt's family has a strong journalism background. His dad, Walt Gray, Sr., is a former newspaper reporter for the Providence Journal. His dad also was a two-time Rhode Island State Senator and Press Secretary to the Governor. Walt's dad and mom, Mary, co-founded the "East Providence Post" newspaper in 1955, which is still published today. Walt's brother Tim was a TV sportscaster in Orlando and Boston. Walt began his career in radio news at WERI-AM/FM in Westerly, Rhode Island. He later moved to television stops at WMGT-TV in Macon, Georgia, WINK-TV in Ft. Myers, Florida and WCIX (now WFOR-TV) in Miami before moving to Sacramento in 1988. Walt won an Emmy for "specialized news reporting" in 2000. Walt has done live play-by-play telecasts for the San Francisco Giants, Oakland A's, World League of American Football and the Miami Dolphins in addition to both Sac State and UC Davis on Comcast SportsNet. Walt says the biggest story he's covered was the 2011 Phillip Garrido trial in Placerville. Garrido was convicted of abducting Jaycee Dugard 18 years earlier. Garrido began a series of exclusive correspondence with Walt which put him on national cable news shows to explain why Garrido was contacting him. Walt's explanation: "I have no idea." Walt married ABC10 Chief Meteorologist Monica Woods in 2000. They have three children, Abby, Kelly and Joseph. They live not far from the ABC10 studio. Contact Walt with story ideas at wgray@abc10.com and follow Walt on Twitter and Facebook.